so extraordinarily distinctive and chic. 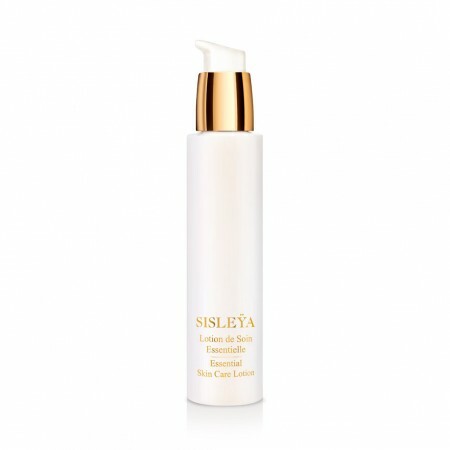 There’s no other cosmetics brand that’s achieved the prestige and luxury of Sisley Paris, still family-owned after three generations and a leader in innovative skincare that combines the power of botanicals with science to formulate the highest quality products. Only the finest plant extracts and essential oils are integrated into the formulas, so each cream, toner, cleanser, foundation, etc. delivers years of researched botanical ingredients that are unique and effective. When you have a Sisley product in hand, it’s a true moment of bliss when you open a beautiful jar of Sisley cream and indulge in its luxurious formula morning and night. 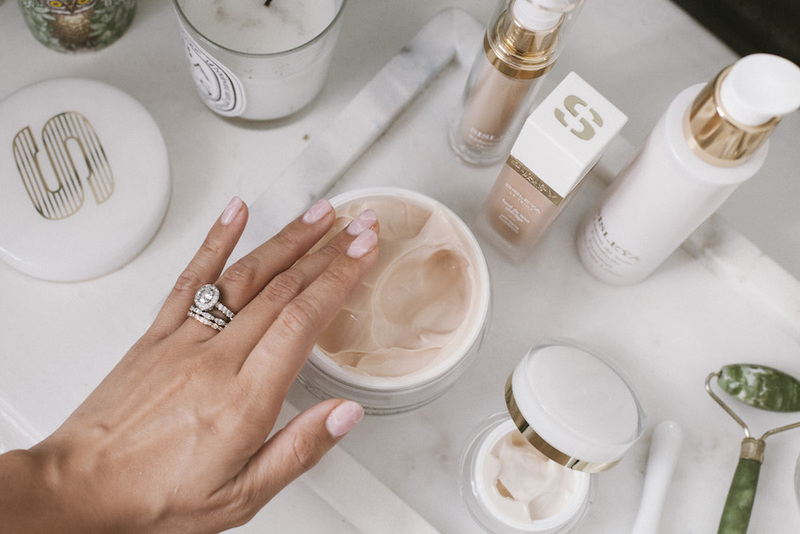 I was so thrilled to connect with Sisley early this year to explore more of the visionary brand’s products and experiences (a Sisley Spa moment in Provence to be blogged about soon!) and I’ve had the opportunity to try their new Beauty Subscription service for the last year. The Beauty Subscription delivers 5 curated Sisley samples every month straight to your door, starting at $35 for 3 months or $60 for 6 months. 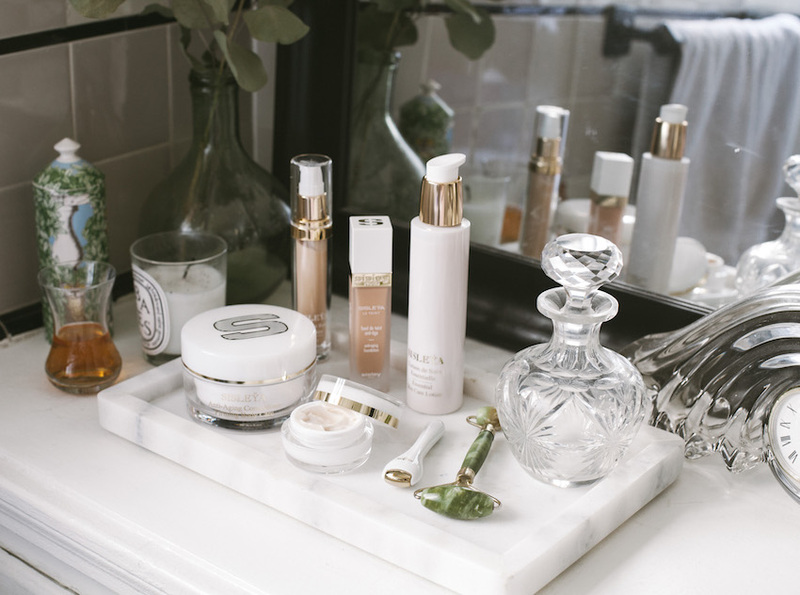 This is such an exciting new service in the beauty world because the Sisley brand is so coveted and they’ve come up with a way to share the brand with new customers with the convenience of testing products, without the heavy expenditure. I myself have fallen in love and invested in a few products after trying them from the Beauty Subscription, including the Black Rose Cream Mask and the Floral Toning Lotion. 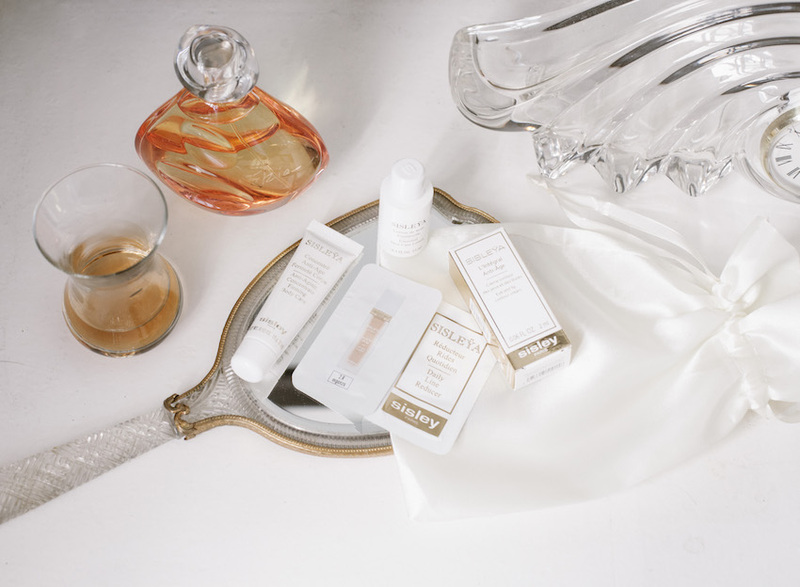 Another perk is that the Beauty Subscription provides deluxe sample sizes to pack for travel! This is a must as the first step to your skincare routine! I gently massage a pump of lotion into my cleansed skin and my face immediately feels hydrated and soft, while the lotion’s anti-aging ingredients help prep the skin to better absorb additional skincare products and benefits. It’s so light and nourishing. Equipped with a limited edition massage tool, this product is a comprehensive solution to achieving bright, youthful eyes and defined lips. 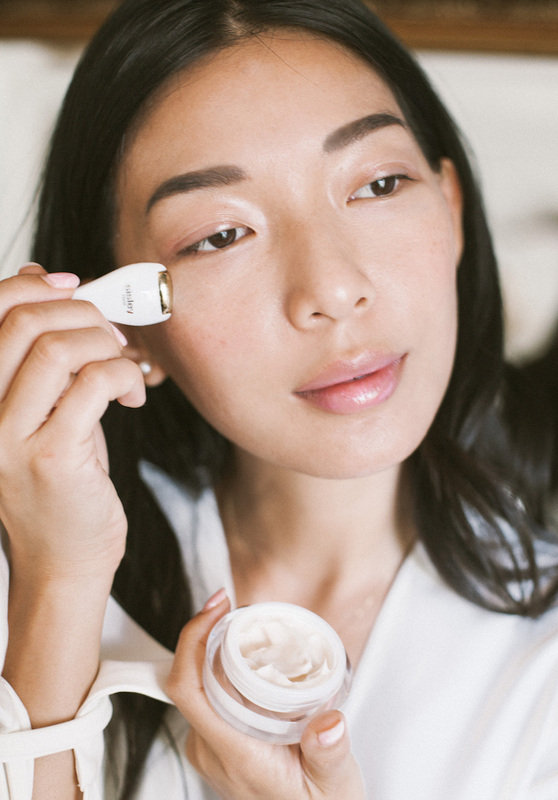 First, prep the eye and lip area with the cool-tip massage tool to de-puff and boost circulation, then apply the cream along the eye contour and upper eyelid and around the lips. This is my favorite product out of the October Beauty Subscription because it’s been so effective at diminishing my dark circles and keeping my skin firm. The massage tool is also a lovely addition to the beauty ritual. 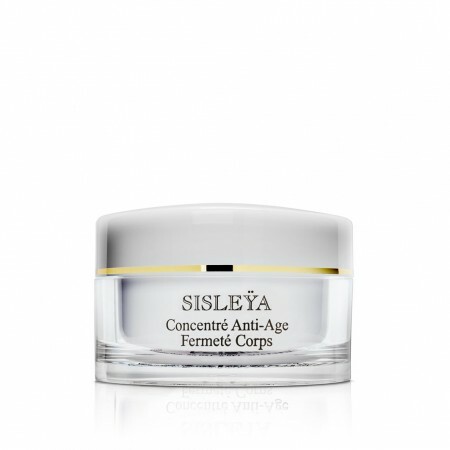 An extremely powerful anti-wrinkle serum that acts on even the deepest lines. I don’t have many wrinkles yet, thankfully, but I used this on a couple of small lines like my crow’s feet and I saw an instant smoothing effect with the serum. I’m keeping this in my arsenal as a preventative step. 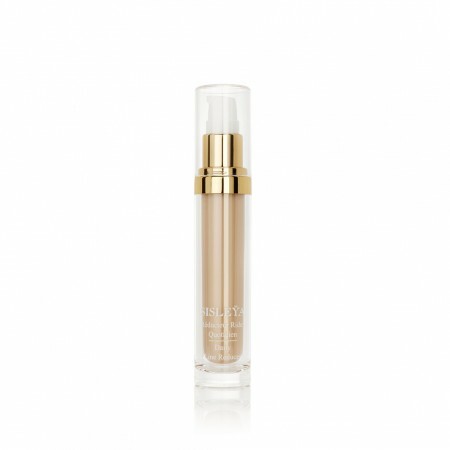 A refined foundation that includes the Sisleÿa line’s signature anti-aging ingredients. The formula is oil-free and non-comedogenic, so it’s safe for sensitive, acne-prone skin like mine and it leaves a light, silky smooth finish that lasts through the day. I only need two pumps for full, yet natural coverage and it’s great to use with a beautyblender. Keep this beside your bed or on your vanity, because it’s such an incredible anti-aging cream that should be applied daily. It smells beautiful and leaves your skin smooth, supple, and moisturized. It takes 4 weeks to see firming results; I still have a couple more weeks to go, but I’m already seeing an improvement in tone and elasticity, especially on my legs! Also, read my exclusive interview with Sisley Paris here!